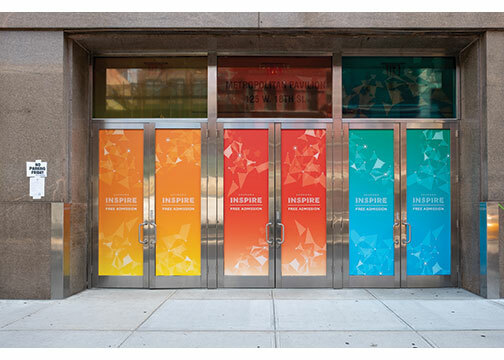 New York, NY—Adorama, a leading photo, video, audio, imaging as well as electronics retailer, launched Adorama INSPIRE, a weeklong event filled with designed-to-share experiences for visual storytellers. 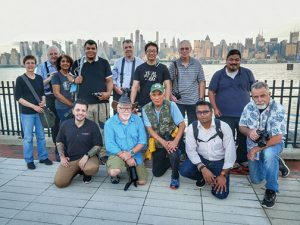 A confluence of education, artistic expression and also discussion, Adorama INSPIRE took place June 25, 2018 through July 1 in and around New York City. It featured some of the creative community’s most heralded innovators, influencers as well as game-changers. They included Tamara Lackey, Mark Wallace, Gavin Hoey and also Tracie Maglosky. 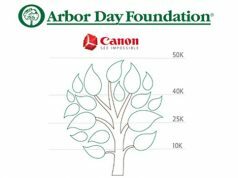 “Blending the educational benefits of a conference with the community engagement of a festival, Adorama INSPIRE offered the best of both worlds. It gave artists a platform in which they could learn new techniques, share their experiences and connect with the community,” said Lev Peker, chief marketing officer, Adorama. “The incredible program lineup featured extraordinary talent, comprehensive workshops as well as exciting events. It culminated in an expo where attendees could interact with industry-leading brands like Canon, DJI, Intel, Nikon and Sony. The event explored all genres of still and motion storytelling, engaging all skill levels and styles,” Peker added. The weeklong conference–festival hybrid event paid homage to cinematography, photography, music making as well as social influence. Moreover, it offered specially curated workshops focused on improving technical expertise and industry discussions. Adorama INSPIRE also provided artist-infused experiences, such photo walks, flying drones and community art galleries. Many of these events were free to attend. 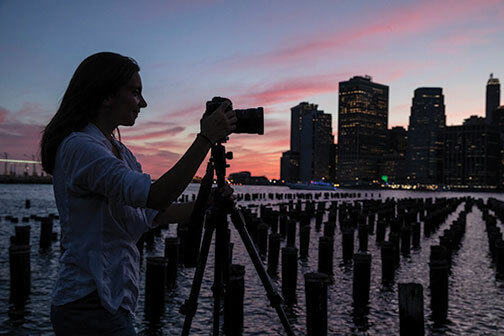 Spearheaded by some of the industry’s most influential artists and storytellers, Adorama INSPIRE comprised more than 30 technique-focused workshops. 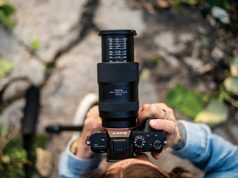 Designed for all skill levels, topics included aerial photo and video, studio lighting, astrophotography, portrait photography, travel and wedding photography, video production, live streaming and also social video. “No matter your niche, from fashion photography to vlogging, audio mixing to pro lighting, there is a place for you at INSPIRE. 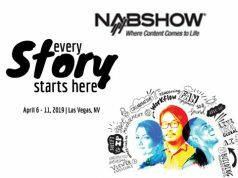 Everyday we had a variety of workshops and panels led by engaging and knowledgeable speakers and moderators available to all attendees,” said Danielle Lawler, senior manager, partnerships & events at Adorama. A complete list of Adorama INSPIRE workshops can be found here. Throughout the week, Adorama provided a variety of experiential events, workshops as well as panel discussions for attendees looking to improve their photography and video skills. They were offered for aspiring professionals as well as hobbyists. Below are some of the select events held during Adorama INSPIRE. • Maternity Photography with Tracie Maglosky. 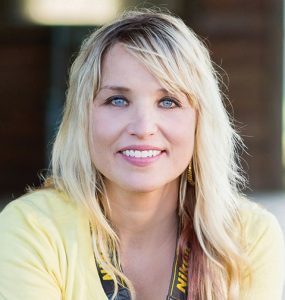 Participants could shoot alongside Olympus Visionary Tracie Maglosky. She explored lighting, posing and styling maternity sessions. In this workshop, attendees photographed a live model and learned maternity posing flow and lighting. • Finding Your Street Photography Voice. 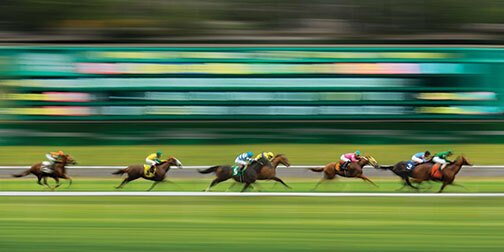 This session featured a visual presentation by key Street Dreams magazine photographers. They discussed their personal styles and how to find your voice as a street photographer. • Art of Visuals Presents: Be Visually Inspired. Prince McClinton, founder of Art of Visuals, one of the world’s largest creative communities inspiring over one million people daily, sat down with artists and creators to discuss photography, video, travel and the business of content creation. The NYC event could also be viewed online via Instagram live with @adorama and @artofvisuals. • Rock and Roll Portrait Lighting Workshop with David Bergman. Canon Explorer of Light David Bergman showed attendees how to produce a high-energy music portrait from start to finish. During this live shoot with a real musician, he took attendees through his process of working with subjects, camera settings and lighting, using small flashes for easy travel and setup. The skills learned will translate into any kind of portrait photography. • Planning & Executing a Fashion Editorial with Emily Soto. Emily Soto’s bold yet playful images appear on magazine covers, in editorial spreads and campaigns for national clients. She instructed attendees on how to plan and execute a fashion editorial. She covered concept development, keys to following a mood board, casting, lighting and equipment, scouting and final images. • Night Sky On-Location. Attendees joined photographer Stan Honda for a night sky shooting session in Central Park. They learned the basics of photographing celestial objects with a digital camera and ordinary lenses. They also had views of the New York City skyline as well as the open sky above as darkness fell. Moreover, they learned composition, focusing, reading the histogram, using the right lens and what to look for in the night sky. • Stylized Children’s Portraits with Tamara Lackey. Attendees worked alongside Nikon Ambassador and Profoto Legend of Light Tamara Lackey as she shot stylized portraits of children. She covered lighting, posing, composition and also expression. Lackey also shared her gear choices, multiple lens selections and various lighting scenarios throughout the portrait sessions. • Manhattan Skyline at Night. Participants joined photojournalist and Lumix Global Ambassador Kevin Gilbert and friends to shoot a different view of the Big Apple. After a ferry ride to a special location in Hoboken, New Jersey, the group met with models/athletes to do some creative portraiture set against the backdrop of the city. The group got creative and shot with long lenses and captured long exposures, lining up the Statue of Liberty with other magnificent buildings. In addition, INSPIRE attendees had the opportunity to voice their opinions in important industry-specific panel discussions. Moreover, topic-driven community talks included a State of the Industry panel moderated by Adorama CEO Barry Litwin. Also, there was an exclusive Q&A with AdoramaTV stars Mark Wallace, Gavin Hoey, Tamara Lackey and David Bergman.